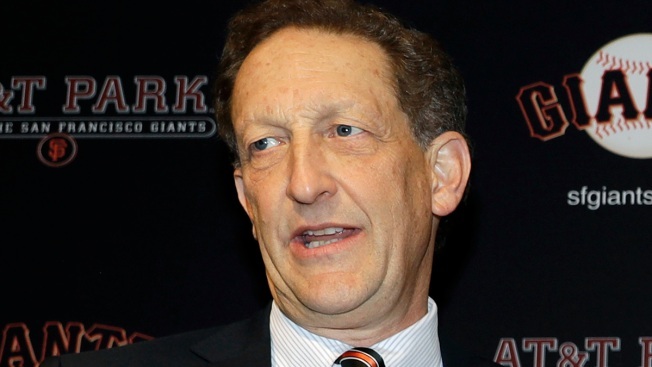 The San Francisco District Attorney's Office will not be charging San Francisco Giants CEO Larry Baer in the public altercation involving his wife. The DA's Office was reviewing the findings of San Francisco Police Department's investigation. “After a careful review of the relevant evidence, including multiple videos, statements from several witnesses and the parties themselves, the evidence does not support filing criminal charges,” said Alex Bastian, SF DA's Office spokesman. San Francisco police earlier this month submitted their findings into the altercation that took place in San Francisco's Hayes Valley to prosecutors for review. The incident garnered national attention after a video posted on TMZ Sports showed the two in a heated argument during which Baer appears to pull his cell phone from his wife, Pam, as she clings to the device and is seen tipping over in her chair and falling to the pavement. Sources say the DA's decision came after review of a 40 minute video that shows about a 25 minute long conversation that became an argument over her demand to see his phone. She eventually wrests the phone away and then she refuses to give his phone back. He asks and then twice grabs for the phone. A source confirms her prior injury may have played a role in her fall. There is also no history of domestic incidents, a source tells NBC Bay Area. Police interviewed both Pam and Larry Baer as part of the investigation. After the incident Pam Baer released a statement saying she took his cell phone, and then didn’t want to return it.